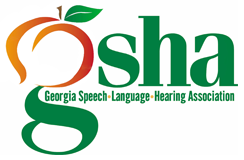 The Georgia-Speech-Language-Hearing Association maintains a list of vacant positions as a service to our members and the professional community. The openings are posted on the GSHA website and available to GSHA members at no charge. If you wish to post an open position at your organization, complete and submit this form with your payment. Please submit one form for each job position. All submissions will be reviewed by GSHA before posting. We will notify you by e-mail if your request is not approved. Make sure that you complete all applicable sections. Forms with incomplete information will not be processed. A fee is charged for each posted position for a two-month period. The fee is $65 for GSHA members and $75 for non-members. If you have any questions or need assistance with this form, please contact the GSHA management office at (407) 774-7880.